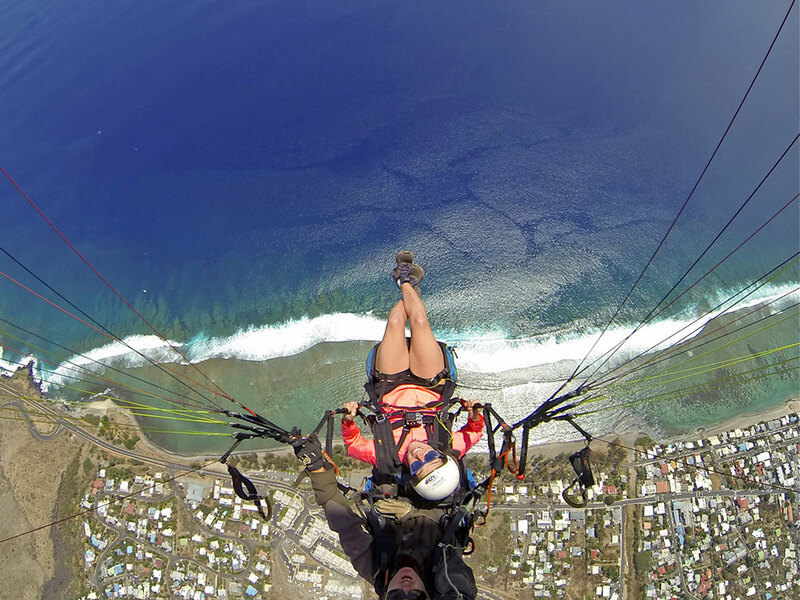 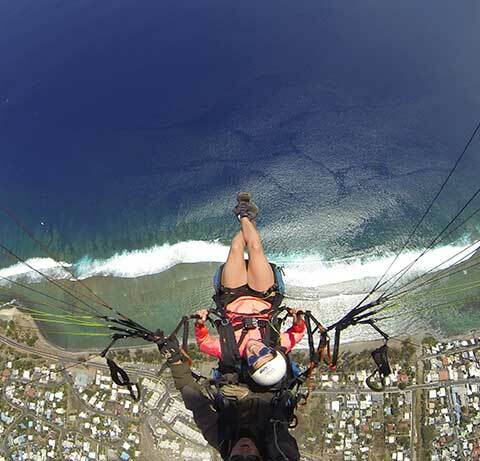 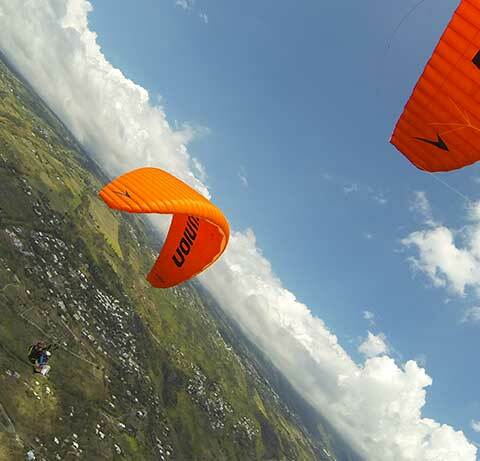 What’s more magical than a paragliding initiation at Saint Leu to discover the lagoon of the Reunion Island. 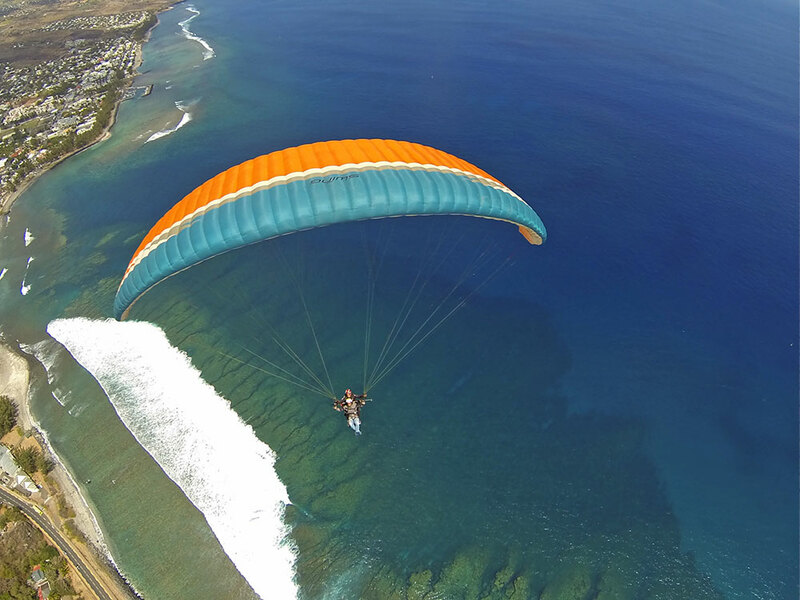 Customized, with 2 takeoff locations and 3 flight formulas, from 15 minutes to 1 hour. 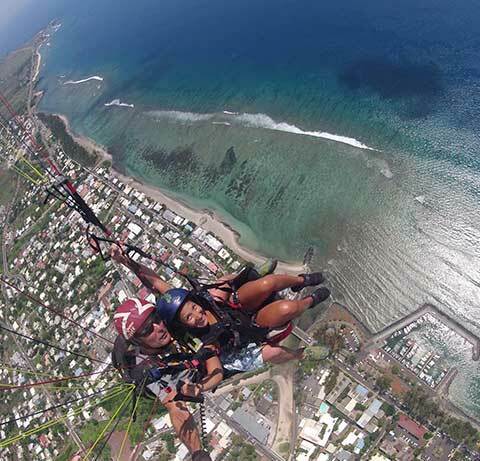 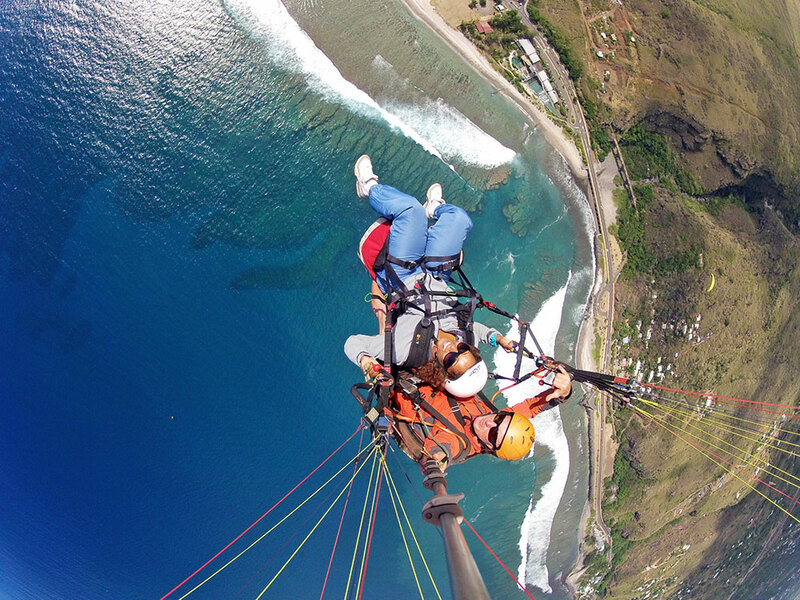 Tandem paragliding flight Réunion is extremely safe. 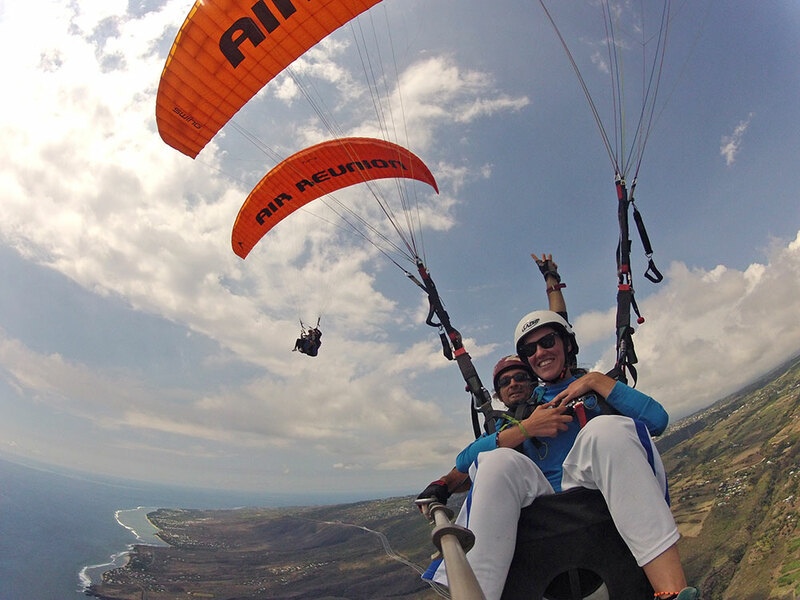 During this tandem flight, you can participate by taking paragliding control if you wish! 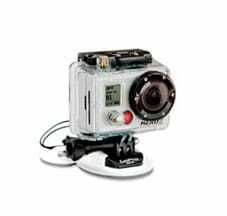 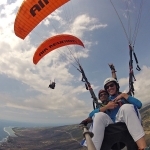 An option not to be missed, leave with the photos of your tandem paragliding flight or with a video of your Paragliding baptism filmed with a GOPRO. 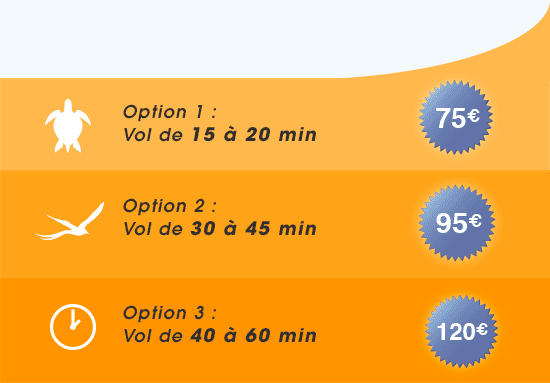 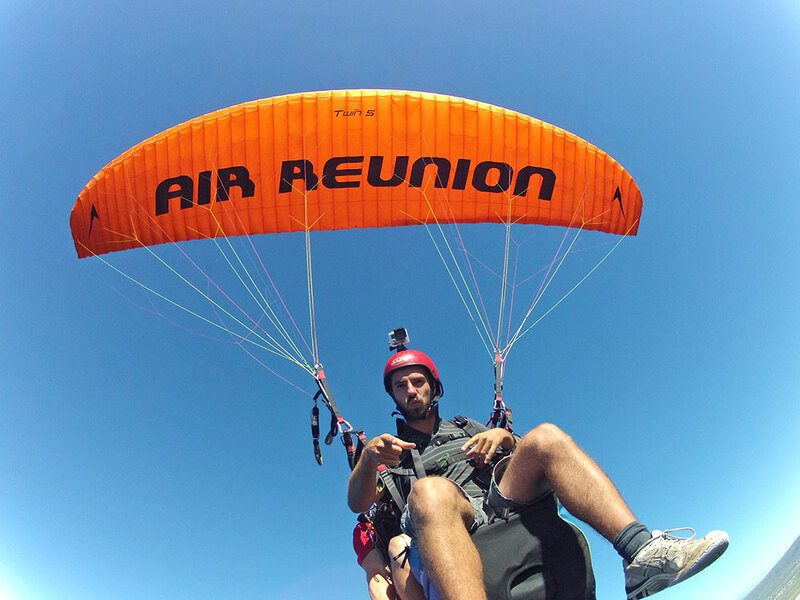 Air Réunion Parapente offers a warm welcome and competitive rates. 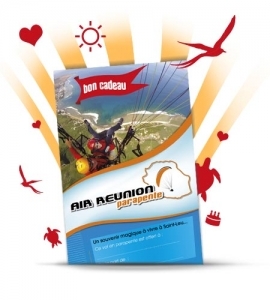 On holiday in Reunion? 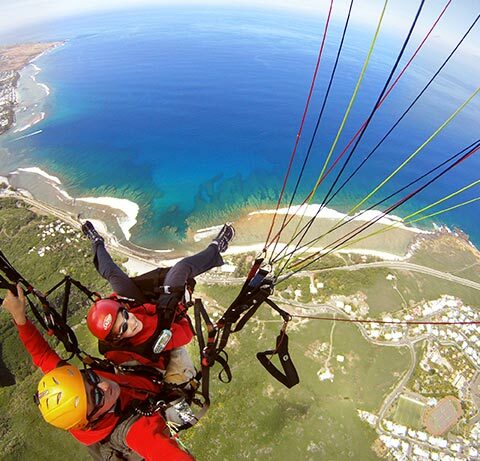 Do not miss paragliding flight experience! 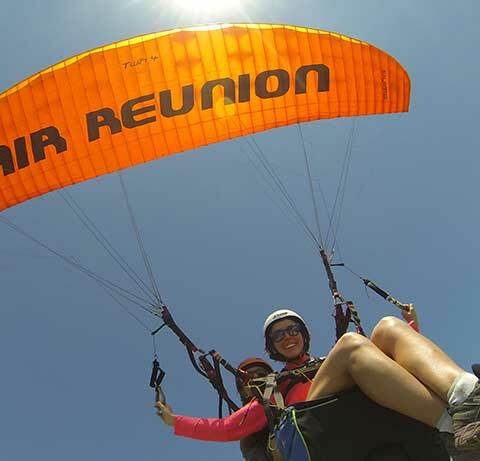 An ex essential air experience on the island of Reunion, with the program, sensations, freedom, breathtaking panorama, and memories to take home and to envy more than one of your friends! 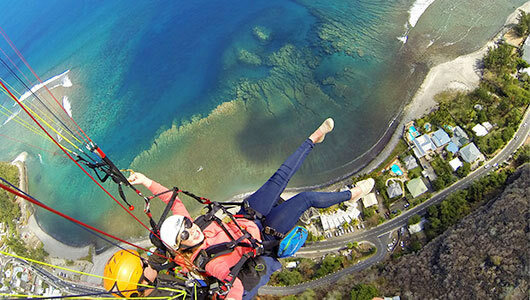 With a fight over the National Botanical Conservatory, spectacular views of the west coast, followed by a flight over the turtles at the Kalonia Marine Turtle Observatory and the coral reef, this is an ideal first flight ! 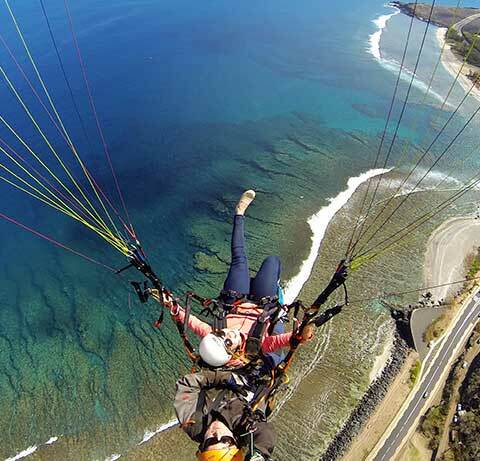 As soon as the morning breezes rise, skim over the primary tropical rain forest, see spectacular views of the west coast, then enjoy a flight over the lagoon. 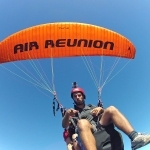 Early morning flight. 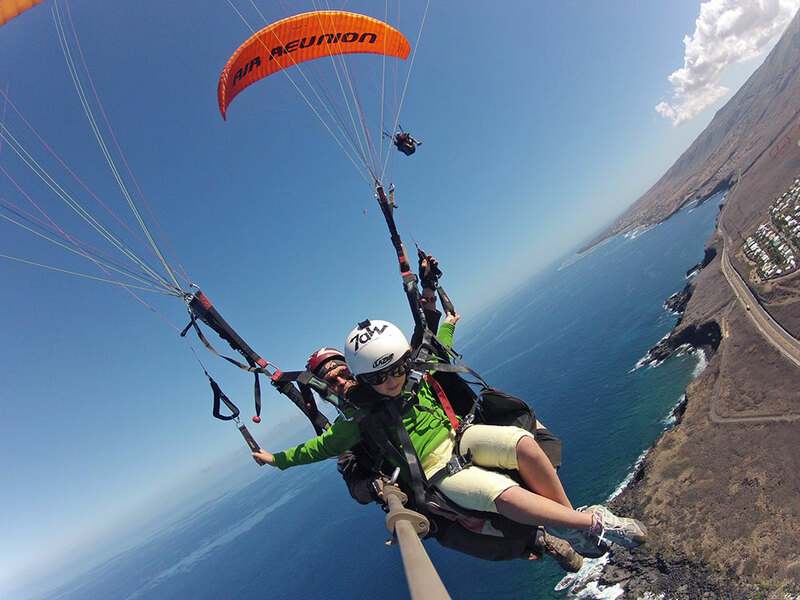 We offer you the chance to go away with a lasting memory of your experience; photos and videos are available of your flight on SD card .